Newly appointed Ministers of State for Health Anupriya Patel and Faggan Singh Kulaste today assumed charge. The support of BJP, Patel’s associates say, can help her claim the legacy of her father late Shri Sonelal Patel who built Apna Dal’s base among OBCs, primarily his fellow castemen Kurmis. Suave and articulate and a former lecturer, her speeches in the Lower House on various issues have often drawn lavish praise from the treasury benches. BJP’s plans to project Anupriya as a prominent backward face had become clear with its national President Amit Shah attending the 67th birth anniversary of Sonelal Patel which was observed recently as ‘jan swabhiman rally” in Varanasi. 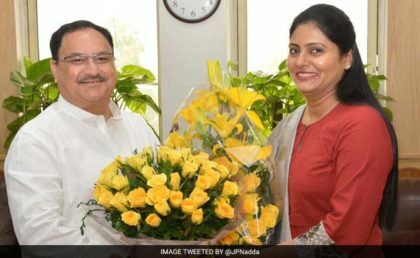 Anupriya Patel, along with Sh.Fagan Singh Kulhaste were welcomed by Health Minister J P Nadda as MOS Health today who said they would work together in the service of the nation. Kulhaste is a lok sabha member from the Mandla constituency of Madhya Pradesh and is a member of the Bharatiya Janata Party(BJP) party. 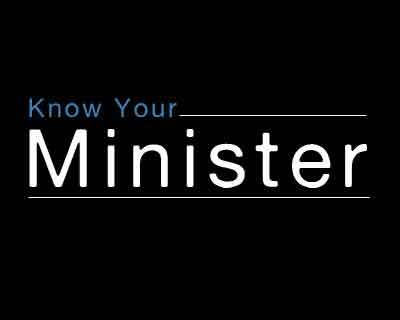 He was minister of state in Vajpayee ministry from 1999. Kulsate and Patel thanked Prime Minister Narendra Modi for the responsibility and said they would work to increase the reach of healthcare to the common masses. The target of the government and the Prime Minister is to provide healthcare to each and every human being. “Making this our priority, we would try to take this to every common man of the country,” Kulaste said after assuming charge. 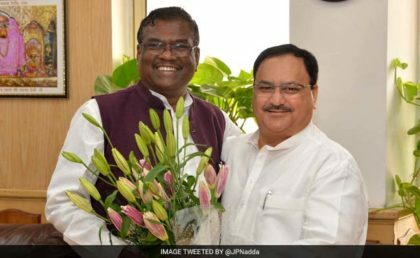 Nadda also thanked Modi for “assigning” two Ministers of State. “I welcome my colleagues MoS Sh.Fagan Singh Kulhaste & Smt.Anupriya Patel as they assumed their assignments in MOHFW. “I thank respected PM @narendramodiji for assigning two MOS to the Health ministry. Jointly we will work together in the service of nation (sic),” he said in a series of tweets.